The Southside area of Jacksonville encompasses a very large area of town, and many areas of Jacksonville Real Estate are pigeonholed into the "Southside Area", even though they are part of their own areas. In general, the southside area encompasses all of Jacksonville between the Intracoastal Waterway all the way west to The St. Johns River. San Marco is a historic riverfront community with a town center, located next to downtown Jacksonville. San Jose is located along several miles of the St. Johns River, and is home to The Bolles School, one of the most exclusive schools in Florida. Interstate 95 runs directly through the center of this area, making the Southside a convenient location for commuting. Because of this convenience, anywhere west of the Southside Jacksonville Real Estate Area, (or West of the St. Johns River) Homes are typically a minimum of 10% cheaper than East of the St. Johns River. The Southside is also home to all of the most popular shopping areas in Jacksonville. Due to the size of the area, Southside Jacksonville offers an extremely diverse supply of homes and Condos to suite any budget and lifestyle. Due to the large area on the Southside, the majority of our showcased communities are broken down into other sections. If it is a condominium you are looking for, we group in Arlington Condos with Southside, even though we also have separate condo sections for Baymeadows, Mandarin, and Intracoastal West areas. Also see the Intracoastal West Area, Baymeadows Area, and Mandarin for MANY for communities! Sound confusing? See the map above for a general reference. Perhaps one of the most conveniently located areas in Northeast Florida, Baymeadows truly has something for everyone. The Baymeadows area is very convenient to the beaches, downtown, and the best shopping and entertainment Jacksonville and Northeast Florida has to offer. Prior to the 1970's the Baymeadows area was very rural, but in recent years the area has been consistently developed. It has quickly flourished into one of the most populare areas to live in. Home to perhaps the highest concentration of apartment complexes in the area, many of which have been converted to condos with the recent Real Estate boom. Many new home communities have been developed since the early 1990s in the area due to its prime location, and new condominiums have sprung up all over the place as well in recent years as well. Baymeadows is also home to the St. Johns Town Center shopping mall, a very popular new outdoor upscale shopping mall, as well as The Avenues Shopping Mall. As far as education goes, residents enjoy newer top rated Twin Lakes Elementary & Middle Schools, as well as a new high school slated to be opened in just a few years. Houses in the Baymeadows area start in the Low $200's, and condos in the area start under $100,000. The intracoastal West Area starts along the Intracoastal Waterway and goes west to Interstate 9A, or the Baymeadows area. Intracoastal West area is highlighted by several golf course communities and exclusive communities, and is sure to please even the most discriminating home buyers. Isle of Palms is a waterfront Real Estate community located along man made canals leading to the Intracoastal Waterways, Glen Kernan and Pablo Creek Reserve are very exclusive golf course communities with only homes in the seven figure range. The area does have some type of Jacksonville Real Estate to suite every budget, from condominiums starting just under $100K, to single family homes starting in the upper $100's. The Intracoastal West area is only a few miles to the beautiful beaches of Northeast Florida, yet still very convenient to Downtown Jacksonville as well as the southside business district. Residents also enjoy a location convenient to the new upscale outdoor shopping mall St. Johns Town Center, as well as local entertainment. Mandarin is rich in history and has been a popular family community for more than 20 years. Primarily rural Real Estate until the 1970s when developers discovered this area, Mandarin has grown steadily since, but mostly built out by the late 1990's. If quality education is a priority for your family, no other area in Duval County (Jacksonville) has as highly rated public schools across the board. Bordered by Julington Creek to the south and the St. Johns River on the west, there is of course no shortage of waterfront Real Estate and Homes in Mandarin. 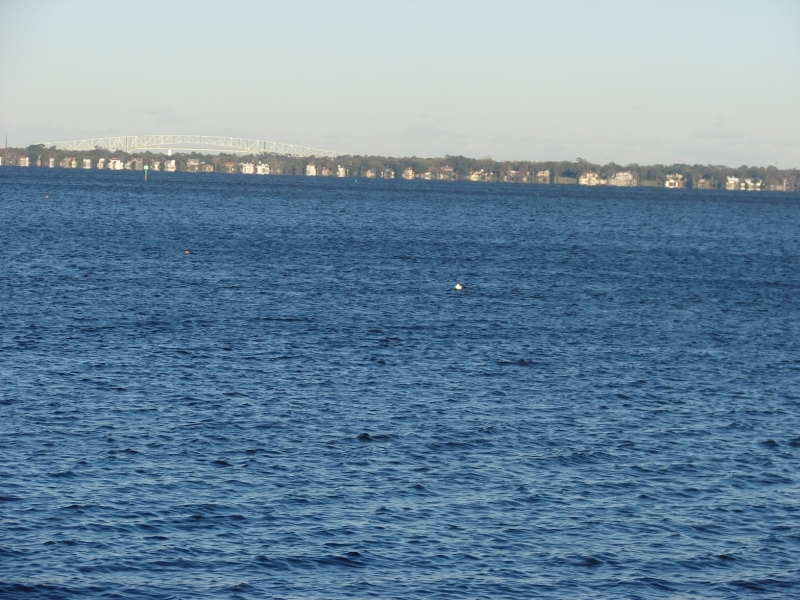 The community has several parks, marinas and more waterfront views than any other Jacksonville Real Estate area. Mandarin is also one of the only areas in Jacksonville East of the St. Johns River where homes on acreage or property are still easy to come by, including the occasional home on several acres of property with equestrian amenities. While traditionally Mandarin is not associated with being one of the least expensive areas to live in in Northeast Florida, homes have recently become more affordable starting in the $150's ranging all the way up to several million for riverfront estate homes. Condominiums in Jacksonville's Mandarin area Start under $100K. Surrounded by the St. Johns on the west and north and the Intracoastal on the east, Arlington has no shortage of waterfront property. Fort Caroline National Park overlooks the site of a former colony of French Huguenots, and is an area rich in history. Jacksonville University, Jones College and a small airfield are located in Arlington. There are several condos and homes come in all styles and price ranges from under $100,000 to seven figure riverfront estates. There are also inexpensive condominiums in Arlington priced under $100,000 as well. Arlington has easy access to schools, churches and your downtown Jacksonville commute is just on the other side of the St. Johns River! Please remember, there are not as many condominium communities in Arlington as many parts of the area, so we have grouped Arlington together with the Southside Jacksonville Real Estate area for CONDOS ONLY! North Jacksonville is the fastest growing Real Estate area within Duval County. The majority of our showcased homes communities are located in the "New Northside" area, or North of North Jacksonville (Oceanway, Airport), which was very rural up until the last decade. Due to the low cost of land, many of our showcased communities have homes more affordable than anywhere East of the St. Johns River, and it is still relatively convenient to Downtown, Beaches, JIA Airport, the Southside, and much more due to being located along the 9A Beltway around Jacksonville. As you move closer towards downtown Jacksonville, you will run into our Old Northside area, which is mostly low income housing. Directly North of downtown Jacksonville is historic Springfield. Once a vibrant area with turn of the century colonial mansions and brick paved streets, the area went downhill in the 1960's-1970's, but Springfield is currently going through a major revitalization and is quickly becoming one of the places to live in the area. The majority of our Condo Communities grouped in with North Jacksonville are actually IN Downtown Jacksonville!! The Westside encompasses a very large area in Jacksonville starting just north of I-10 all the way south to Clay County, bordered on the east by I-295 and stretching west to Baker County and east to Riverside. Four small incorporated towns make up the Westside: Baldwin, Marietta, Maxville and Whitehouse. Other neighborhoods on this side of Jacksonville are Ortega, Argyle, Lakeshore, Venetia, Riverside, Avondale, Cedar Hills, Hyde Grove, Murray Hill and Normandy. Both NAS Jacksonville and NAS Cecil Field are located here, as well as Herlong Airport, a small, general aviation fixed base operation. Homes and condos are available in all sizes and price ranges. Keep in mind that many homes and condos in the West Jacksonville Real Estate area are 10% or more lower priced than East of the St. Johns River. However, location and convenience is the sacrifice. West Jacksonville is less convenient to the Jacksonville Beaches, as well as the most popular shopping, dining, and business areas. In addition, most parts of West Jacksonville is NOT known for having the top school districts in the area. Bordered to the west by Highway 17 and the river to the east, between Interstate 10 to the north and the Ortega River to the south, Riverside is a well-established, historic neighborhood on the west bank of the St. Johns River. There are five public schools located within walking distance of both neighborhoods. Riverside has become an attractive spot for young professionals who want a short commute to work as well as entertainment in the 5-points district. Homes include modest duplexes to elegantly restored historic residences and waterfront estates. Avondale is a traditional neighborhood with small boutique-type shopping, quaint streets and small-town charm. There are over a dozen parks with tennis courts, softball fields, and paths for jogging, walking or biking. Its close proximity to downtown makes it a great location for short commutes. In the early 1900s, Riverside Avenue had earned a reputation for being one of the most beautiful streets in America. Much of that distinctive architecture remains today in this historic district. The riverfront mansions still make a strong statement. Much of riverside went through a major revitalization during the 1990's, offering the best of classic homestyles as well as modern amenities. Bordered on the east by the St. Johns River, to the north and west by the Ortega River and south of Riverside, this community is a peninsula on the river. History and nature meet in this neighborhood characterized by rivers, parks, tree-shaded home sites and an eclectic collection of spectacular architectural styles. Mediterranean Revival homes sit side-by-side with Colonial or Tudor homes. The area's schools also have a reputation as some of the best in Duval County. Convenient private schools, area churches, and several small parks along the river contribute to Ortega's charm and beauty. The Florida Yacht Club and Timuquana Golf & Country Club offer private social and recreational opportunities. Worth Magazine ranked Ortega 46th among the nation's top 50 wealthiest neighborhoods. The area offers just about any style of architecture and homes range in size from average sites to stately, sprawling riverfront estates on several acres. 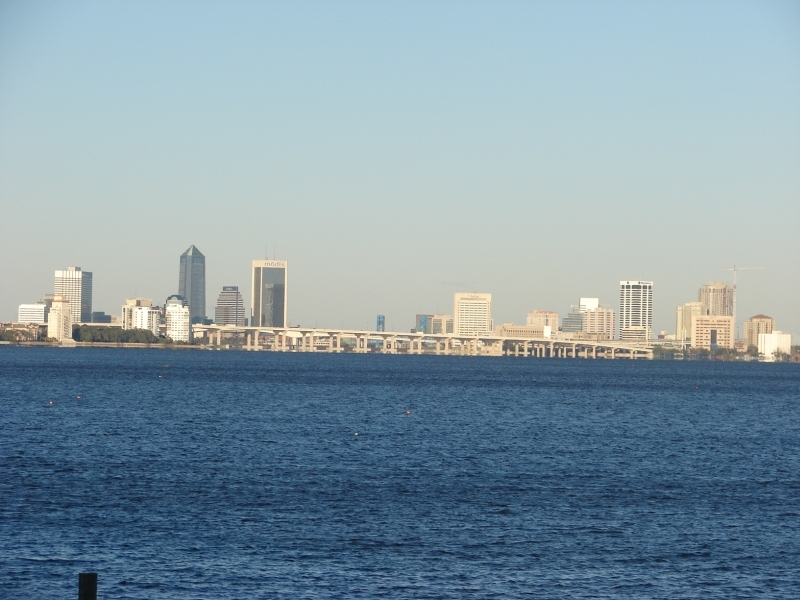 The Jacksonville Beaches stretch from the Atlantic Ocean on the East, to the Intracoastal Waterway on the West. The Jacksonville Florida Beaches Area is another area that has gone through a major Real Estate boom in the last 10 years. 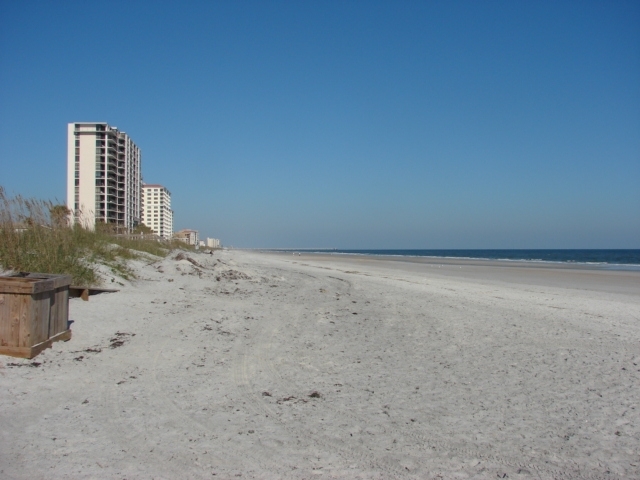 Up until recent years, Jacksonville beach was one of the only coastlines of a major metropolitan city that lacked oceanfront condominiums. This has changed since the turn of the century, and Jacksonville Beach is now lined with skyrise luxury oceanfront condominiums. Jacksonville Beach Home prices soared as well in the last decade, as savvy investors came in and restored and updated all of the older homes in the area. Also grouped in with the Jacksonville Beaches area is Neptune Beach, Atlantic Beach, and Mayport. 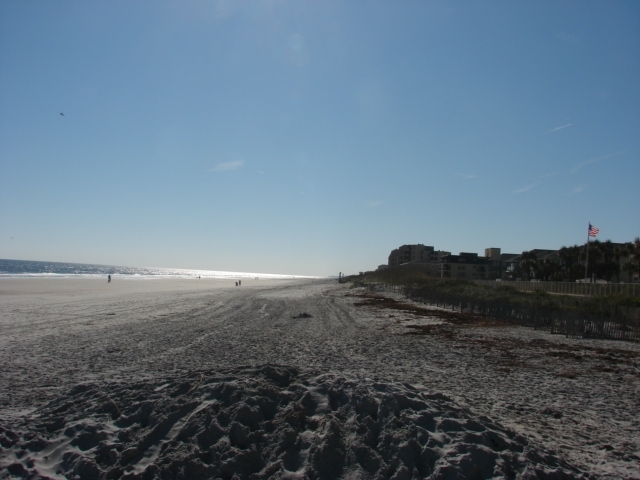 Neptune Beach is a small stretch of beach less than one mile long, but has a more private feel than Jacksonville beach. Atlantic beach is located directly at the corner of Atlantic Blvd and 3rd street. There you will find charming shops and diners all over the place, with a unique laid back Florida feel to the area. Homes and Real Estate in Atlantic Beach are typically more expensive than Jacksonville Beach, and will start in the High $200's. Mayport is home to Mayport Naval Station. There are some enclaves of nicer homes in the area, but much of Mayport is home to military housing apartments and mobile home parks. Condos in Mayport can be found for under $100K, with single family houses starting around $200K. Most of the beaches areas have low priced homes all the way up to Luxury Oceanfront and marsh front homes. Ponte Vedra is one of the most exclusive area in Northeast Florida. No other area of Real Estate in Northeast Florida features such a high concentration of golf courses, waterfront & oceanfront homes, as well as gated communities and country clubs. With five championship courses already in play including Sawgrass, home of the TPC Golf tournament, more are also planned in the new Town Of Nocatee. With the Intracoastal Waterway along the West, and the Atlantic Ocean and Beautiful unspoiled beaches to the East, Ponte Vedra offers mile after mile of luxury waterfront and oceanfront estates. Boaters enjoy homes on Roscoe Blvd along the Intracoastal Waterway, golfers & country clubbers enjoy Sawgrass, The Plantation At Ponte Vedra, and Marsh Landing. To the South of Ponte Vedra is Vilano Beach, a secluded peninsula of beaches just across the waterway from historic St. Augustine, FL. St. Johns County is known for having some of the top rated schools in the area. Homes in the Ponte Vedra Area Typically start in the high $200's for single family houses up to $5 Million, and in the Mid $100's to Several Million for condominiums. Orange Park is located Southwest of Duval County (Jacksonville) and is convenient to the Mandarin Jacksonville Real Estate area and the Westside area of Jacksonville as well as I-295, the beltway around Jacksonville. Orange Park Florida encompasses an area in Clay County that boarders around the St. Johns River on the East. The majority of Orange Park Florida was built out in the 1970's & 1980's, however in the last 10 years several very large scale Real Estate developments have popped up such as Oakleaf Plantation, Eagle Harbor, and Fleming Island Plantation to name a few, giving home buyers a wide variety of choices and diversity in homes. Residents in Orange Park enjoy a highly rated public school system in Clay County, as well as lower priced homes in general than East of the St. Johns River. There is also no shortage of waterfront and riverfront estate homes in Orange Park as well as affordable housing for first time home buyers starting under $100,000. St. Augustine Florida is the oldest city in the United States, first founded in the 1500's! Historic downtown St. Augustine is lined historic buildings and roads with walking traffic only and small one way streets. Throughout all of these streets are many bed and breakfasts', trendy shops, and restaurants. St. Augustine is certainly a city with charm!! Much of St. Augustine Real Estate, especially North of downtown, as become a large suburb of Jacksonille, with the majority of residents commuting the short 20-30 minute traffic free drive to Jacksonville each day. Many homes in St. Augustine, especially Northern St. Johns County Real Estate are also very well priced when compared to many parts of Jacksonille. Much of St. Augustine also has some of the best schools in Northeast Florida as well. 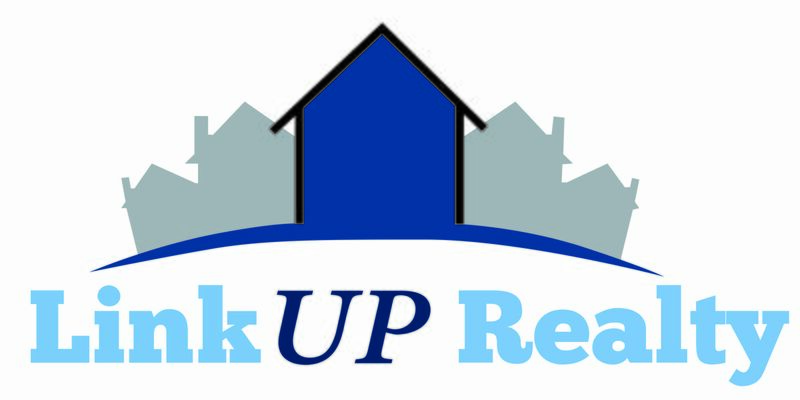 I do not have areas of St. Augustine Homes broken down quiet as good as Jacksonville Real Estate, and my expertise is mainly North of Downtown St. Augustine Florida. I do however also have EVERY community profiled in the Nocatee Real Estate Area, World Golf Village Area, and NW St. Johns County. Please see those areas to find St. Augustine Real Estate and Homes! These areas have put St. Johns county Florida on the map as one of the fastest growing counties in the country! As far as condominiums in St. Augustine go, they are all grouped together, as opposed to being in separate areas like the houses. Northwest St. Johns County is the fastest growing area of St. Augustine Real Estate, as well as one of the fastest growing areas in Florida. As recently 15 years ago, the Northwest area of St. Johns County was as desolate as can be, only home to miles of cow pastures and tree farms mostly. However time has developed this area into a truly unique gem and growth hub in Northeast Florida! Residents enjoy some of the highest rated schools in Florida, the majority of which have been built in the last 10 years. Real Estate taxes in St. Augustine/St. Johns County are less on average than Jacksonville, making it a nice alternative to Duval County. Due to these facts, a pretty high percentage of homeowners in the area drive to Jacksonville for work every day. Julington Creek, Aberdeen, Durbin Crossing, and Rivertown area some of the newest large scale St. Augustine Real Estate developments giving home buyers even more reasons to move to the area. Homes in Northwest St. Johns County FL start in the high $100's and range up to several million for St. Johns riverfront estate homes. Condominiums in the area are all grouped in with St. Augustine Condos, but are VERY limited in this area. 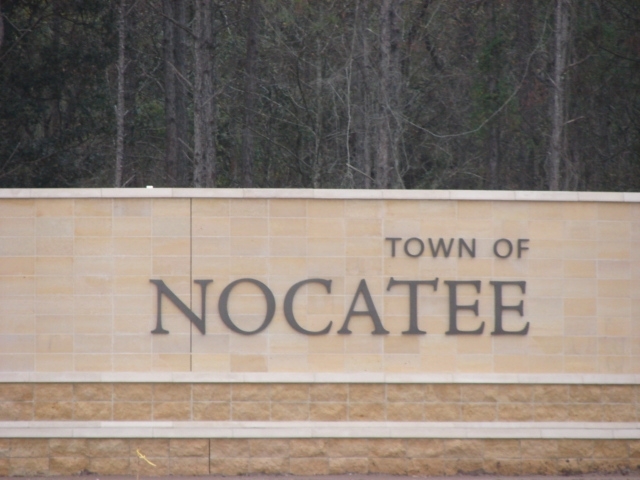 Nocatee is truly a town by every definition! 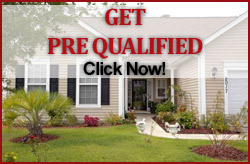 No other area has been as highly anticipated and publicised as the Town of Nocatee Florida. Encompassing over over 30 square miles, or 15,000 acres of Real Estate, The Town Of Nocatee Real Estate is located along Palm Valley Rd. Between US1 and the Intracoastal Waterway. The Nocatee Real Estate area is so large that it has its very own zip code! 85% of Nocatee Real Estate is in St. Johns County (St. Augustine) & 15% of Nocatee Real Estate is in Duval County (Jacksonville). Upon completion in approximately 2030, Nocatee will be home to over 14,000 families and an estimated 35,000 residents. The infrastructure of Nocatee Real Estate will include six elementary schools, two middle schools, and one high school, over 4 million ft of office space, over one million feet of commercial space, as well as three golf courses. The amenities center and village center are also much more than anything ever planned in Northeast Florida. The Town of Nocatee is just a short five minute drive the beautiful beaches of Northeast Florida, and is also considered part of Ponte Vedra. Nocatee Condos in Tidewater at Nocatee are starting under $150K, with several varieties of single family homes starting in the Mid $100's for townhomes, houses starting in the Mid $200's and ranging up to over $1,000,000. Also grouped in with the Nocatee Real Estate area are several other developments that are close by the area. 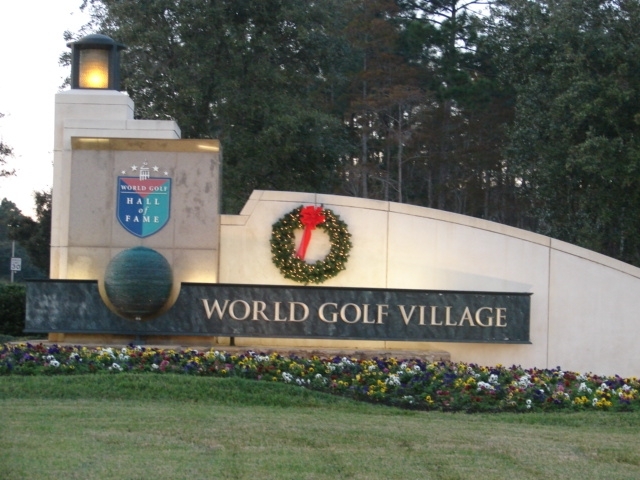 World Golf Village encompasses a very large area of St. Augustine Real Estate along interstate 95. Home to the World Golf Hall of Fame and Museum and IMAX Theatre, World Golf Village is quickly becoming the place to live in Northeast Florida. Amenities available or currently under construction include an enormous outdoor shopping mall with several department stores and high end restaurants, a 6,000 seat arena, several championship golf courses, a roller skating rink, movie theatre and MUCH more! For commercial development, the World Commerce Center located across from the village is developing as well, which is inviting large corporations from across the country to take advantage of all that Florida has to offer. Also grouped in with the World Golf Village Real Estate area is Palencia. Palencia is a very large golf course community/mini-town that will feature over 3.000 homes upon completion. It features a town center, several restaurants, shops, and more. Due to the close proximity to Jacksonville, the majority of residents in World Golf Village and Palencia commute the short, traffic free trip to Jacksonville every day. However, historic downtown St. Augustine, the nations oldest city, is just a short 15 minute drive! Residents also enjoy several new top rated schools as well as lower taxes in St. Augustine. Homes range from the lower $100's to several million. Nassau County is a booming area in Northeast Florida, directly bordering Georgia to the North and the Atlantic Ocean to the East. Most areas in Nassau County are close enough to Jacksonville that a high percentage of residents commute to Jacksonville. Typically a 30 minute drive to downtown Jacksonville from most areas. The Western areas in Nassau County around Callahan are mostly rural, where 5-15 acres parcels of land are not only relatively affordable, but easy to come by as well. Yulee in the central area of Nassau County is the area where the majority of growth is happening in the area. Sparking the growth are Amelia National & North Hampton, two golf course communities next to each other, that are surrounded by other growing communities. Real Estate and Home prices in Nassau County are also generally more affordable that most parts of Jacksonville, and are priced 5%-25% less than comparable homes in Duval & St. Johns County. To the East is Amelia Island Plantation, an extremely exclusive enclave of gated private golf course communities with luxury condominiums and Oceanfront & Marshfront homes, starting in the $300's up the $10 Million+. More communities & info coming soon, our site is a work in progress! VIEW ALL 500+ SHOWCASED COMMUNITIES!